From a memorandum opinion and order by Magistrate Judge Young B. Kim July 9, 2014 we learn. Previous opinions resolving Defendants’ motions to dismiss, see FDIC v.
Mahajan, No. 11 CV 7590, 2012 WL 3061852, at *1-3 (N.D. Ill. July 26, 2012), and the FDIC’s motion to strike, see FDIC v. Mahajan, 923 F. Supp. 2d 1133, 1135-36 (N.D. Ill. 2013), describe the details of this case’s background facts and procedural history. What follows are the facts and allegations most pertinent to the questions presented in the current motion. Directors and as the administrative assistant to Bank President Amrish Mahajan. From Citizen Wells December 27, 2013. “The FDIC lawsuit against Amrish Mahajan, et al is still alive. We learn much from literature as well as history. We have another Ghost of Christmas past returning to join the other spirits of Obama’s troubled past. The FDIC lawsuit against Amrish Mahajan, former president of Mutual Bank, et al is scheduled for a settlement conference in the courtroom of Judge Virginia M. Kendall on March 27, 2014. Mutual Bank loaned Rita Rezko the money for the lot that was purchased by the Obama’s. It is also the bank that fired whistleblower Kenneth J. Conner after he questioned the appraisal of that lot. 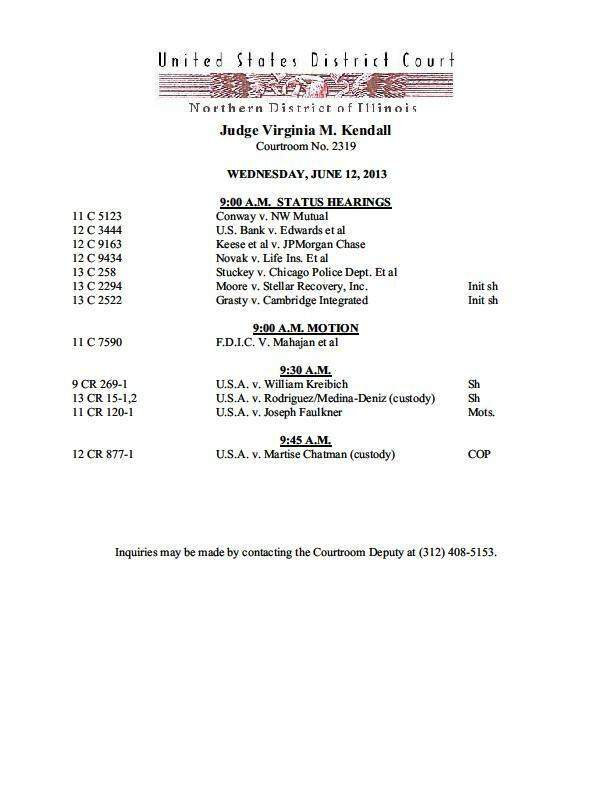 The FDIC lawsuit against Amrish Mahajan, former president of Mutual Bank, et al is scheduled for a motion hearing in the courtroom of Judge Virginia M. Kendall on June 12, 2013. Mutual Bank loaned Rita Rezko the money for the lot that was purchased by the Obama’s. It is also the bank that fired whistleblower Kenneth J. Conner after he questioned the appraisal of that lot. Obama corruption tie court cases update, February 5, 2013, Blagojevich appeal delayed, FDIC Mutual Bank lawsuit drags on, Obama Rezko ties linger, Die slowly? Perhaps the same sentiment could be used for court cases that tie Obama to Chicago corruption and Tony Rezko. There are two active court cases that touch Obama and his dealings with Tony Rezko and other Chicago corruption figures. The FDIC filed a lawsuit against Mutual Bank (Rezko lot loan bank) and it’s officers on October 25, 2011. From Citizen Wells October 25, 2012. The FDIC lawsuit against Amrish Mahajan, former president of Mutual Bank, et al is scheduled for a status hearing in the courtroom of Judge Virginia M. Kendall on February 12, 2013. Mutual Bank loaned Rita Rezko the money for the lot that was purchased by the Obama’s. It is also the bank that fired whistleblower Kenneth J. Conner after he questioned the appraisal of that lot. Of course the delay in prosecuting Rod Blagojevich and his subsequent appeal process is the “elephant in the room.” Some say he is awaiting a pardon from Obama. From Citizen Wells December 5, 2012. 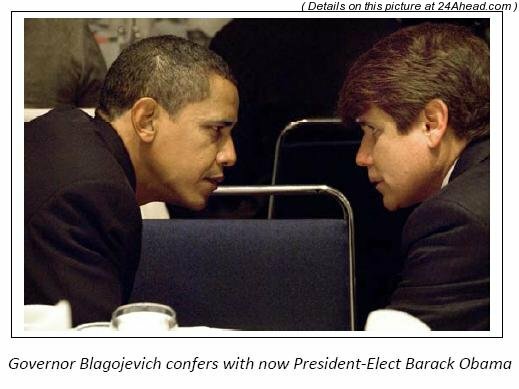 “The Blagojevich arrest was delayed until after the 2008 election. “Who engineered these delays and who is responsible? 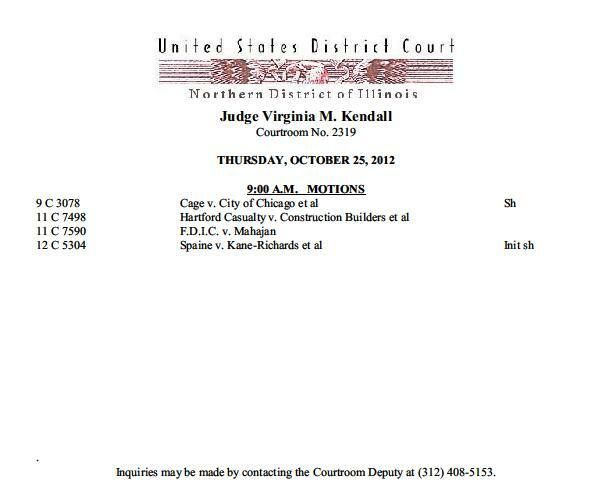 The FDIC lawsuit against Amrish Mahajan, former president of Mutual Bank, et al is scheduled for a motion hearing in the courtroom of Judge Virginia M. Kendall on October 25, 2012. Mutual Bank loaned Rita Rezko the money for the lot that was purchased by the Obama’s. It is also the bank that fired whistleblower Kenneth J. Conner after he questioned the appraisal of that lot. The Kenneth J. Conner lawsuit is still active. Oh, and by the way, Kenneth J. Conner, the whistleblower, is still finishing his book, “Rezko for Radicals.” I spoke to him a few days ago.